The Toyota European family supports the development of Toyota's operations in Europe, based on our key priorities of superior quality and customer satisfaction. We work hard to further strengthen the Toyota and Lexus line-ups in Europe, combining environmental performance and driving pleasure, with vehicles tailored to meet the expectations of European customers. Toyota Motor Europe is the European Head Office of Toyota and located in Brussels, Belgium. It covers R&D, Manufacturing, Marketing and Sales. Drive your future with Toyota! Do you want to work in an industry that is continuously evolving, offering you an inspiring working environment? Are you interested in joining an international & multicultural company with various opportunities of being engaged in challenging projects in a rich and unique working atmosphere? Looking for training programmes (both courses and learning by doing) that help you develop your general abilities and specific job skills? 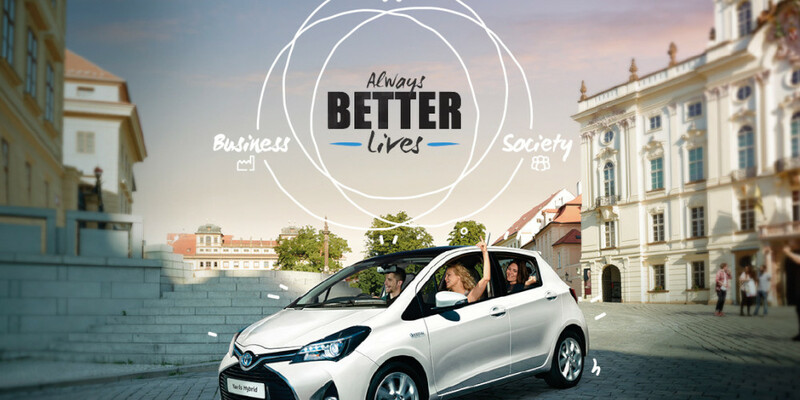 Then drive your future with TOYOTA! Start your career at Toyota Motor Europe as a graduate. You will experience a challenging career with one of the leading automotive companies of the world.